I work with a woman that brings in treats whenever we have a tax class. Which is fabulous as she can bake! 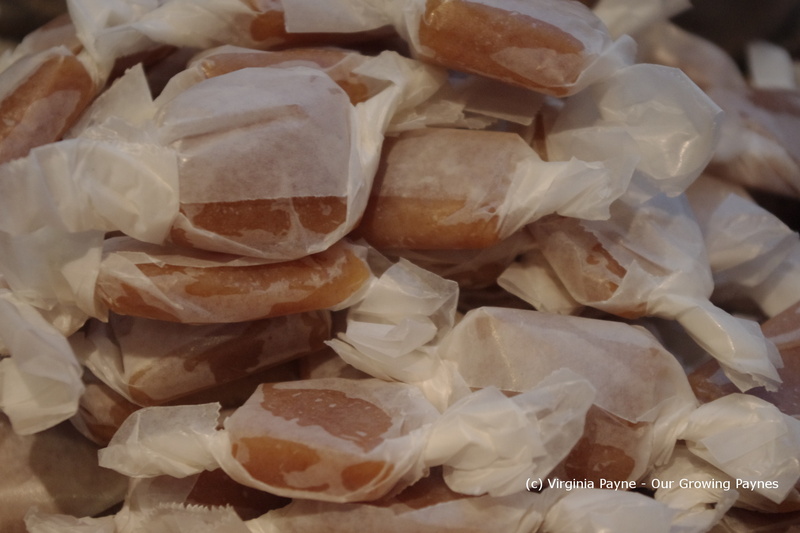 Once she brought in these little apple cider caramels for us. I kid you not, the reaction around the room as each person tried them was OMG! 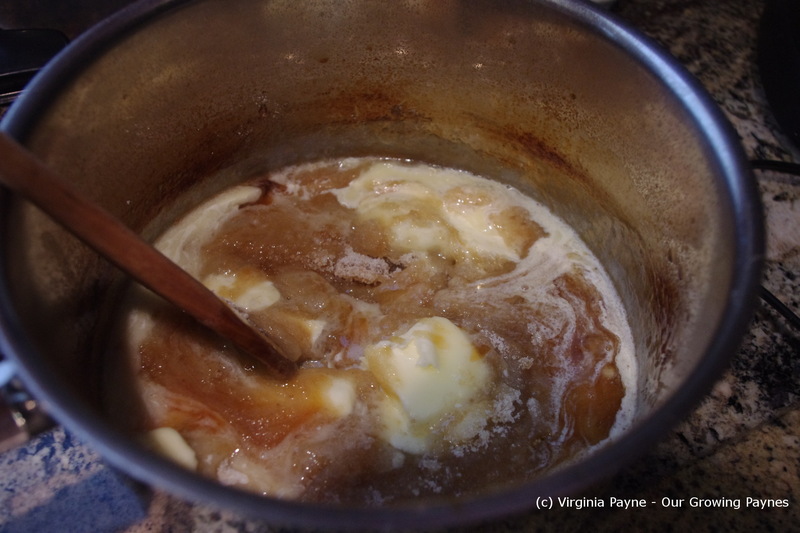 So I asked her for the recipe and she said she found it on the blog Smitten Kitchen so off I went and did the search and found the recipe for apple cider caramels. I finally had a chance to make them recently and not surprisingly they were a big hit. 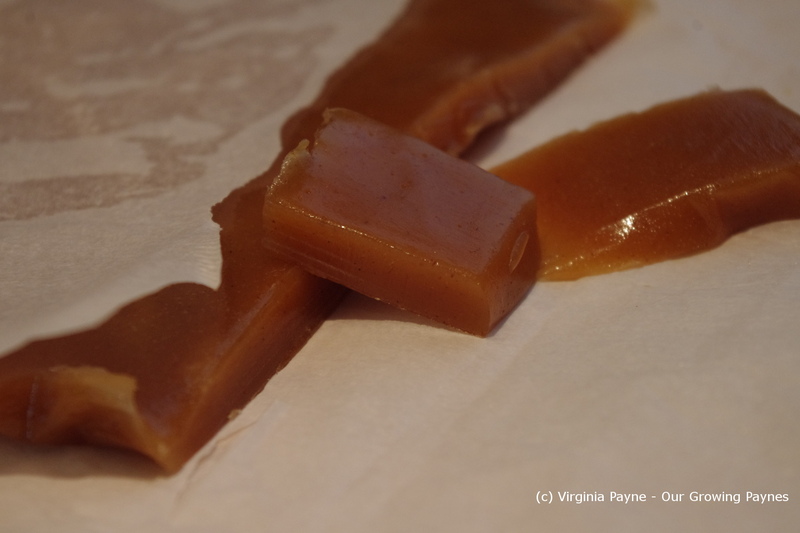 These caramels have a wonderful burst of apple cider flavour. 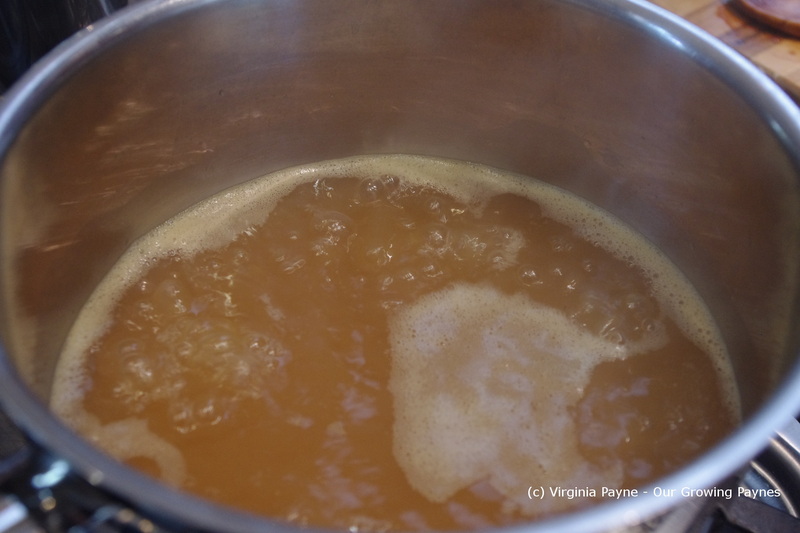 As her recipe recommends, it is important to prep all the ingredients by the time the cider is ready as once the cider is reduced you need to get it all done at once. This is not a hard recipe to do but you just need to pay attention. 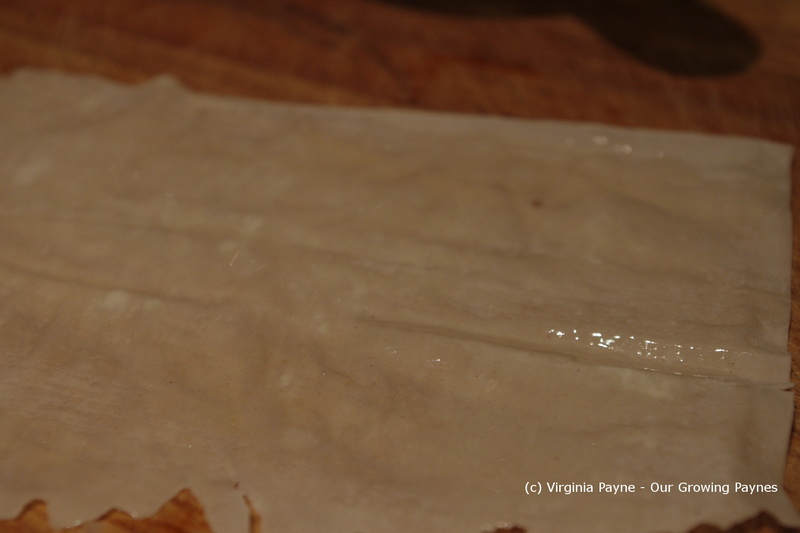 Line a 13×9 inch pan with parchment paper. It needs to go up all four sides. 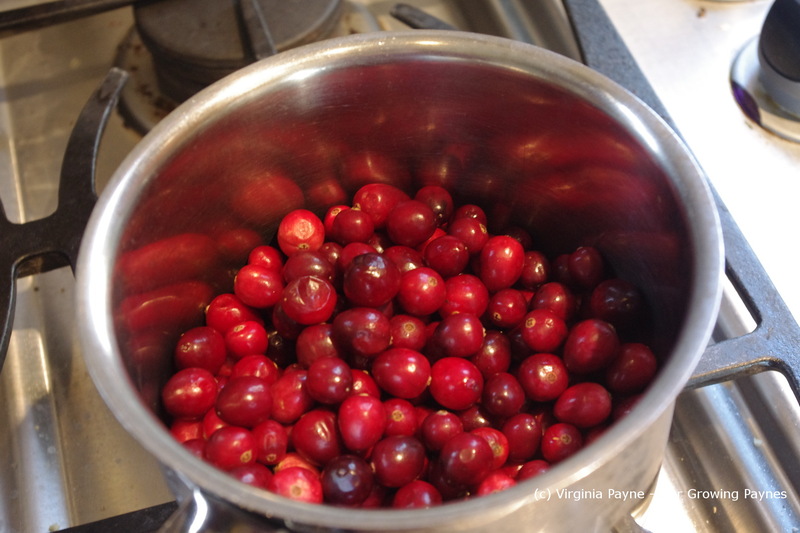 In a 3-4 quart pan pour in 4 cups of apple cider (not the alcoholic kind!) and bring to a boil. This needs to be reduced down to about 1/2 a cup. No less than 1/3 a cup. This took me about 45 minutes or so. In the meantime I gathered the rest of my ingredients. 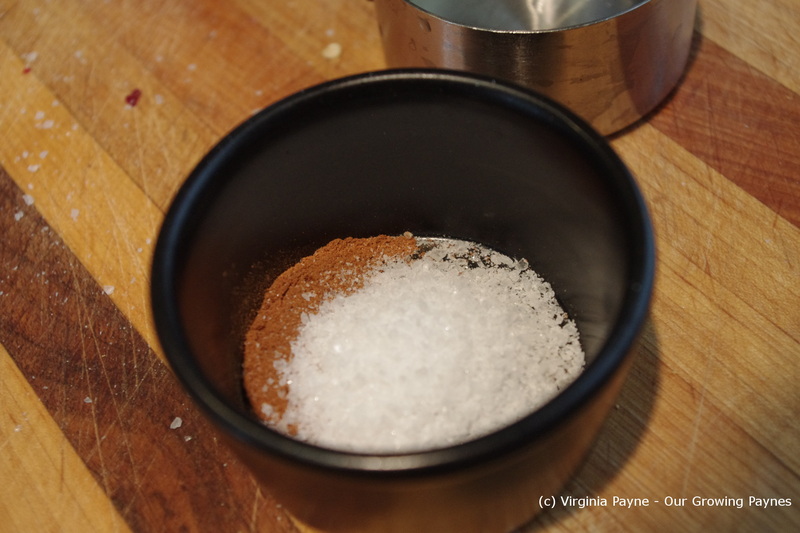 In a small dish I mixed 1/2 tsp of ground cinnamon and 2 tsp of sea salt. Her recipe calls for flaky sea salt which I didn’t have so I ground mine a bit. 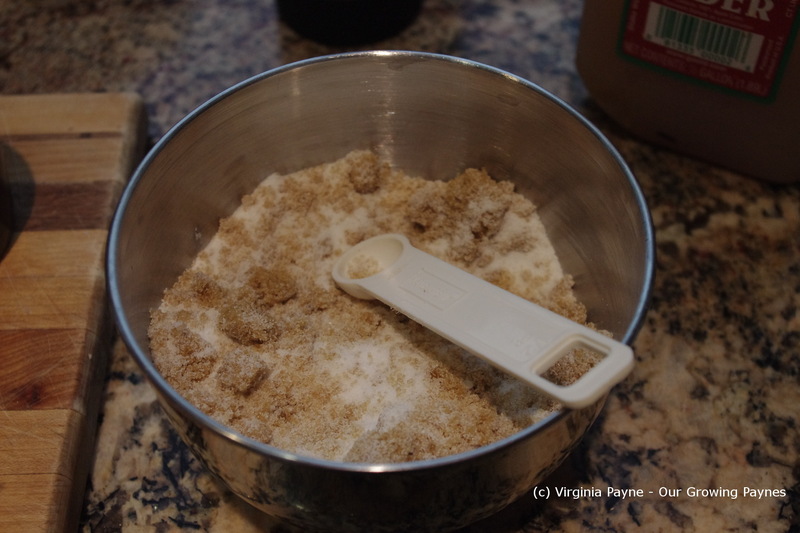 In a larger bowl mix together a cup of sugar and 1/2 cup of brown sugar. 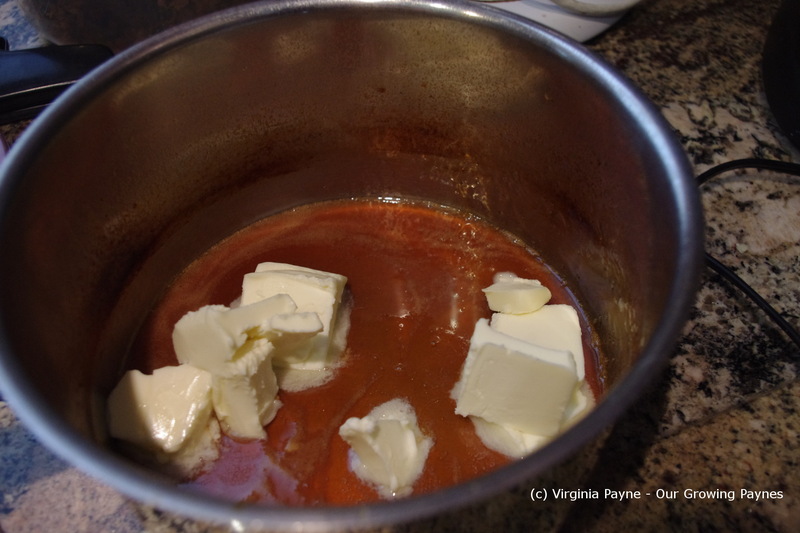 I also set aside the 8 tablespoons of butter cut up into small chunks. 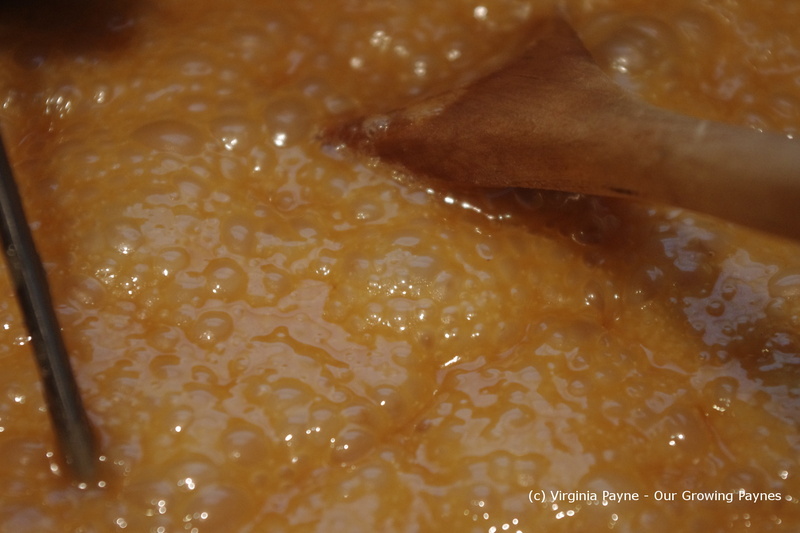 Once the cider is reduced it should look like this. 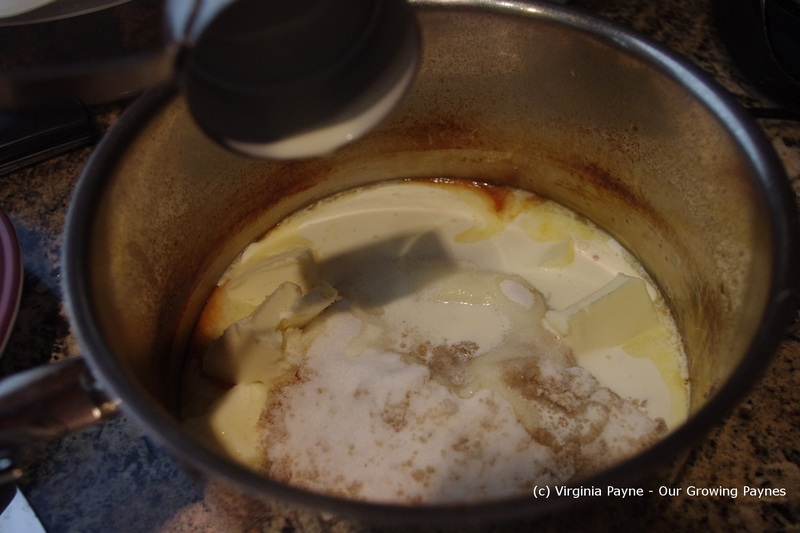 Stir in the butter, the sugars and 1/3 cup heavy cream. 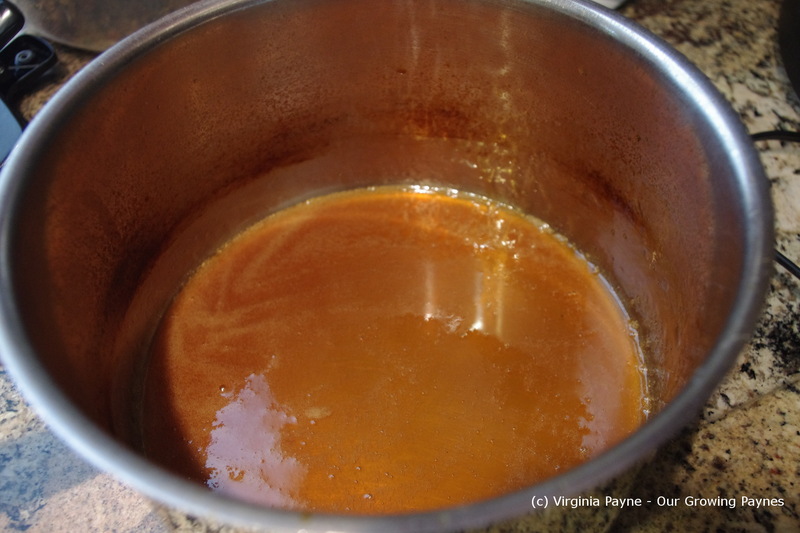 Once it is thoroughly mixed put it back onto the heat and bring it to 252F/122C. This will take about 5 minutes. 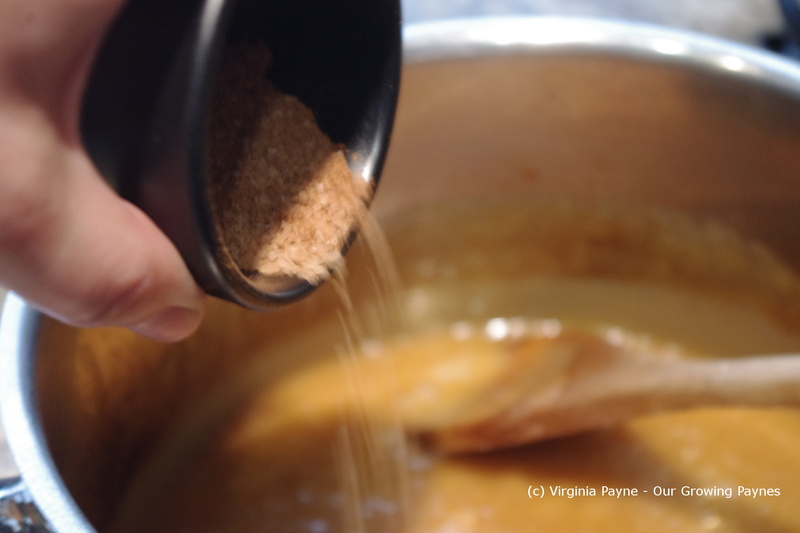 Remove immediately from the heat and stir in the cinnamon mixture. 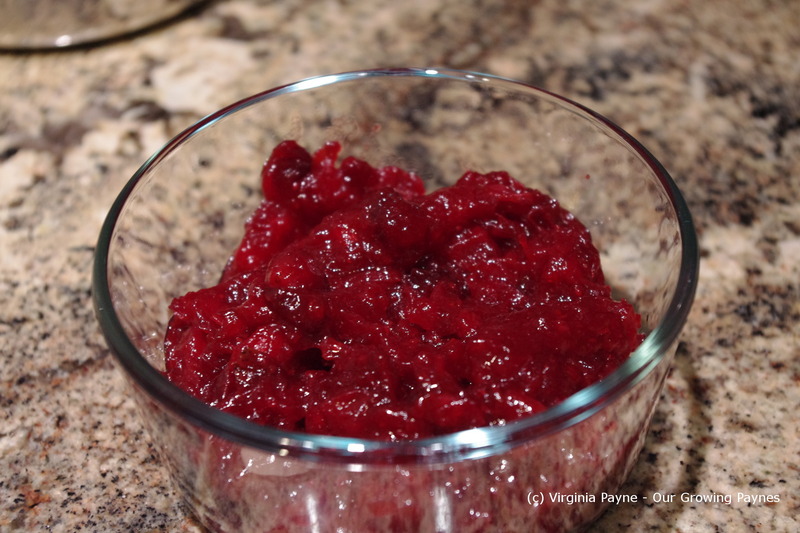 Pour into the pan and spread out evenly. I let it cool down a bit before putting it into the fridge to set completely as that is a lot of heat to throw into the fridge. This part takes a couple of hours for it to fully set. 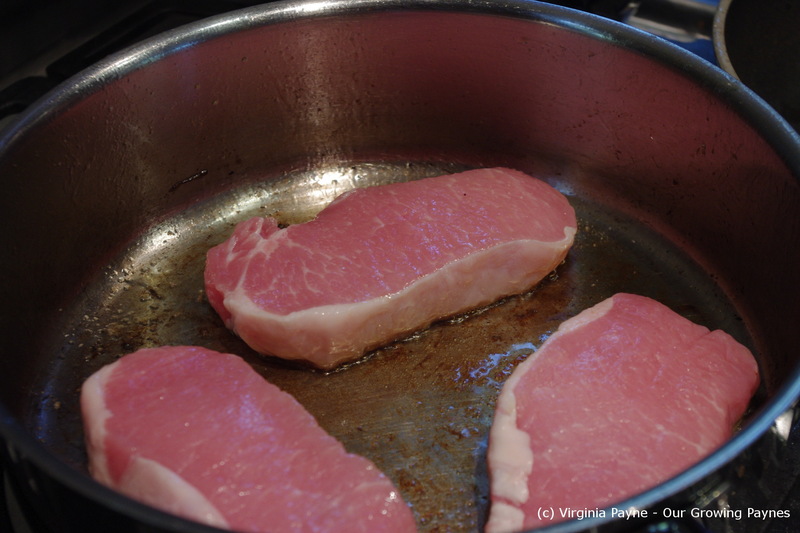 Once it is set remove from the fridge and pan and place on a cutting board. Her recipe says to use neutral oil on the knife. I didn’t have any so I used a very sharp knife to press down. I also put some wax paper over the top so I could hold it down with my hand. 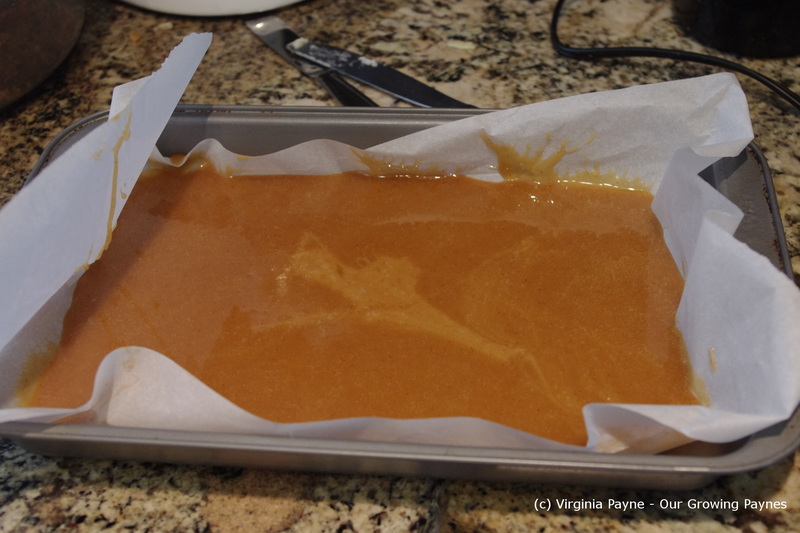 If the caramel got to soft I popped it back in the fridge for a few minutes to harden. That way it didn’t stick to the knife so much. I then individually wrapped each piece in wax paper. 3-4″ square should do the trick. First you want to slice up some onions and saute them in olive oil. Once they’ve softened a bit put them aside. Salt and pepper the pork and place it in the pan you used for the onions. Meanwhile put a baking pan in the oven with a drizzle of olive oil at 350 F. We use the toaster oven. We heat the pan so we aren’t placing food in a cold dish with cold oil. We want to keep that nice sear that was achieved. 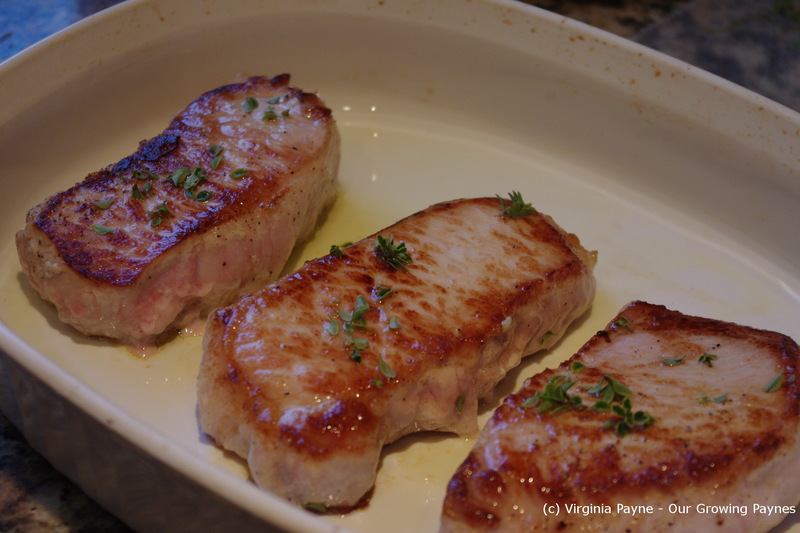 Put the pork in the baking dish and sprinkle with lemon thyme. Bake until nearly cooked. Onto the sauce! 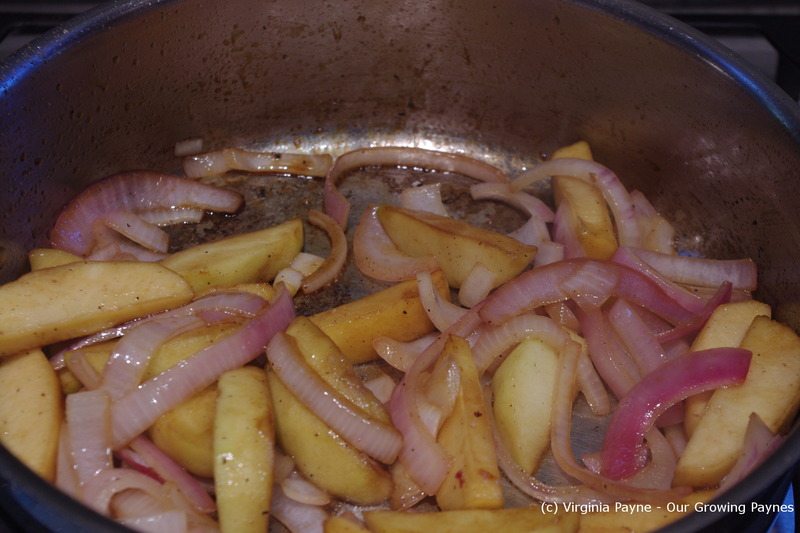 Saute sliced apples and the sauteed onions together and add a tablespoon of brown sugar. 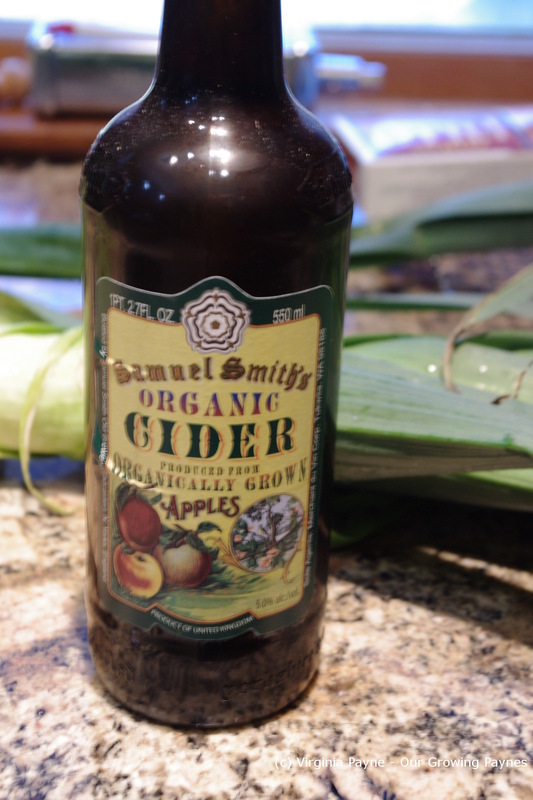 Take 1/2 cup of hard cider with a teaspoon of corn starch dissolved in it and add to the pan. 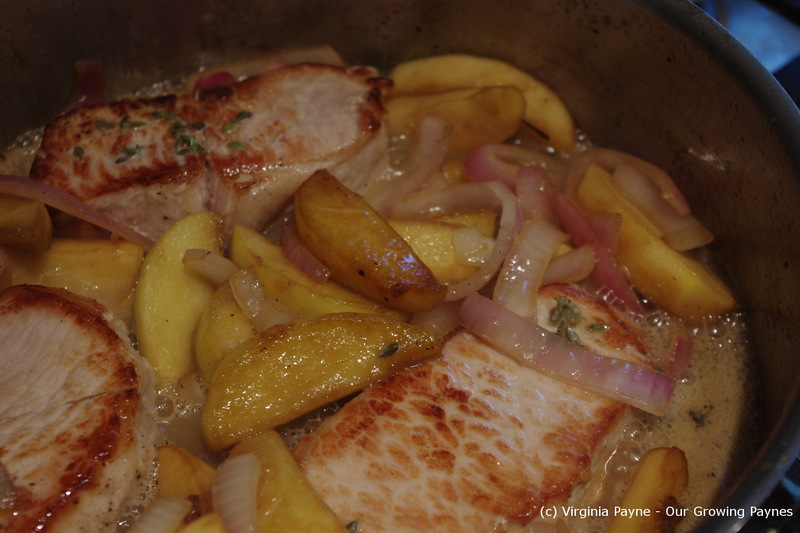 Add splashes of the cider as you need to deglaze the pan as well. 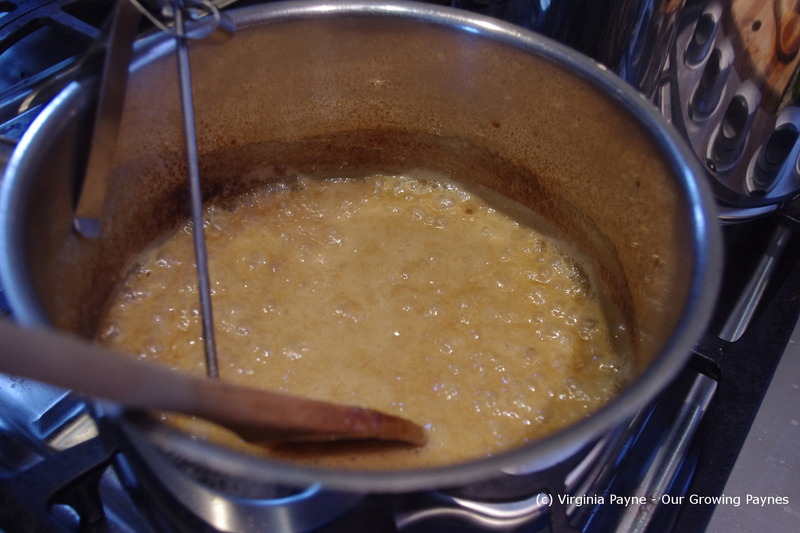 Simmer until you have the apples at the softness you want. Add the pork back into the sauce. 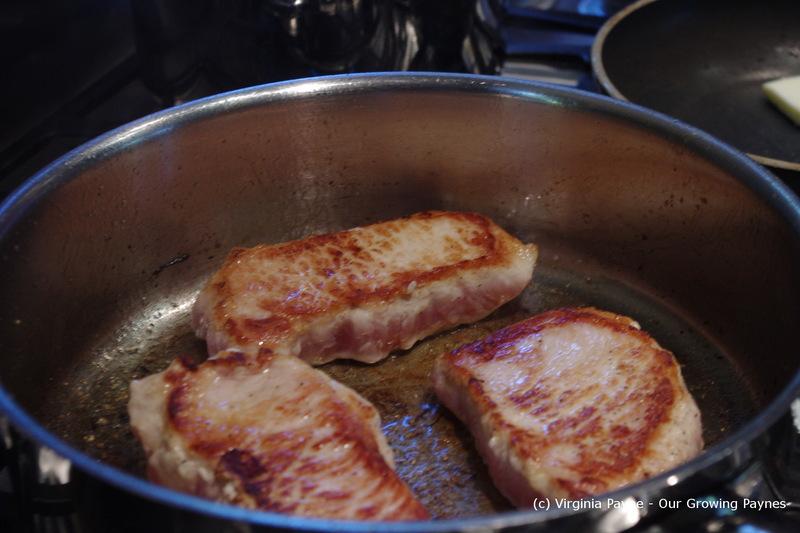 Simmer for a few minutes so pork is cooked then serve. This dish takes between 30-45 minutes to make. And this was enough for our family of four with a side potato dish. 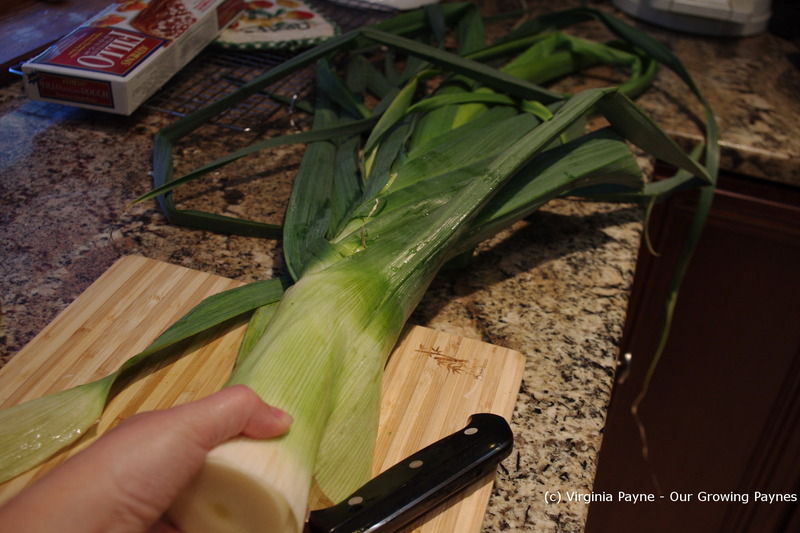 Our leeks are insane this year! From root to tip it was just shorter than me and I’m 5’4″ tall. And it’s a bit over 2″ diameter. Massive! This one alone will provide several meals. For this meal I decided to make Leek and Mushroom pie with a bit of chicken. 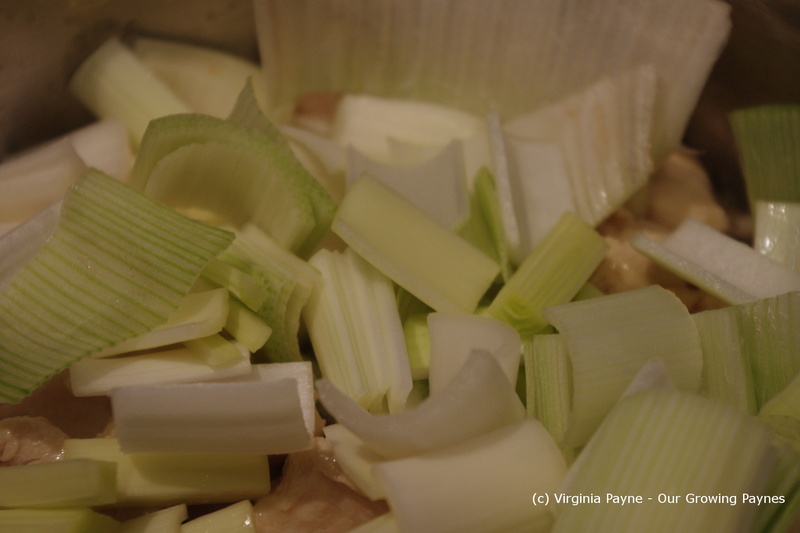 I dice up leeks, the chicken, and mushrooms and sauteed them in olive oil to cook about half way through. 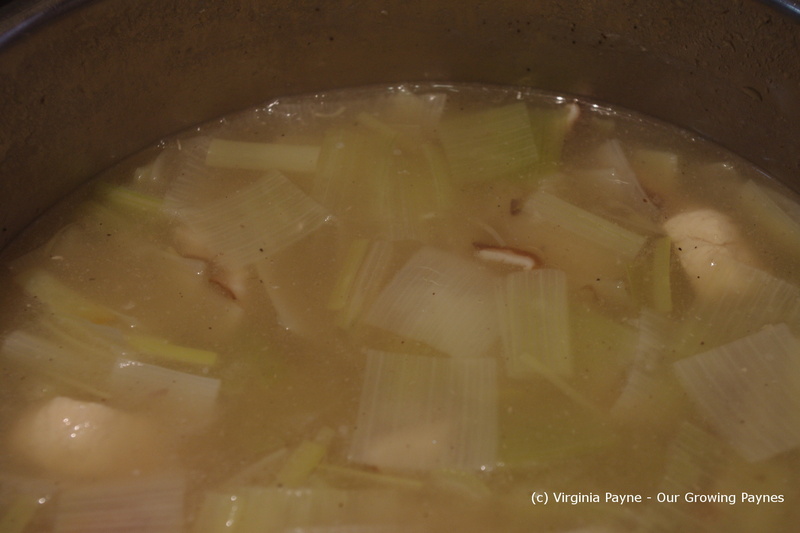 Then I add about 4 cups homemade chicken stock. I bring to a simmer. To thicken I add corn starch. As everyone has a preference on how thick you want it to be, gradually add corn starch dissolved in a bit of water until you have the thickness you desire. Make sure you bring it to the boil each time. Also, you want to taste to make sure the seasoning is keeping up with the corn starch. I just use salt and pepper. Apple cider! Fortunately this brand gets imported here as it is really good. I would like to try this dish when we’re back in Dorset with all the local ciders. I add about a cup to the dish. 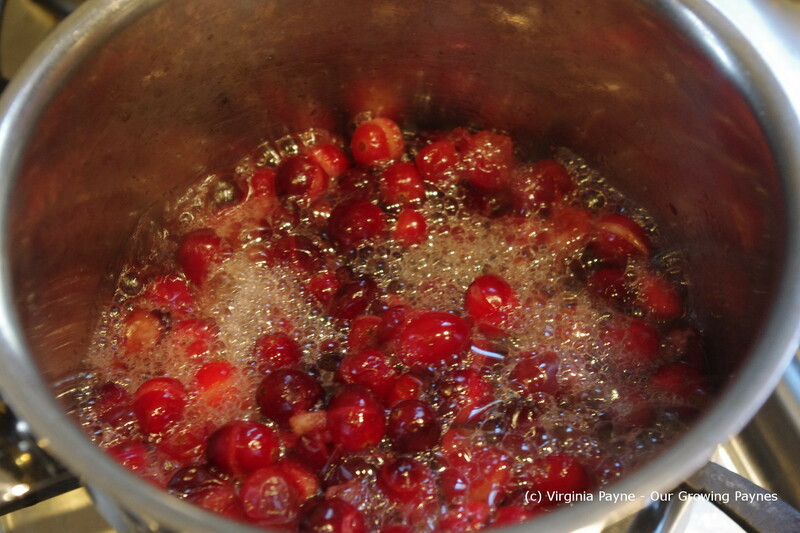 It will get all bubbly as you bring it up to a boil but will die down. Spoon into ramekins, larger size if you have them. 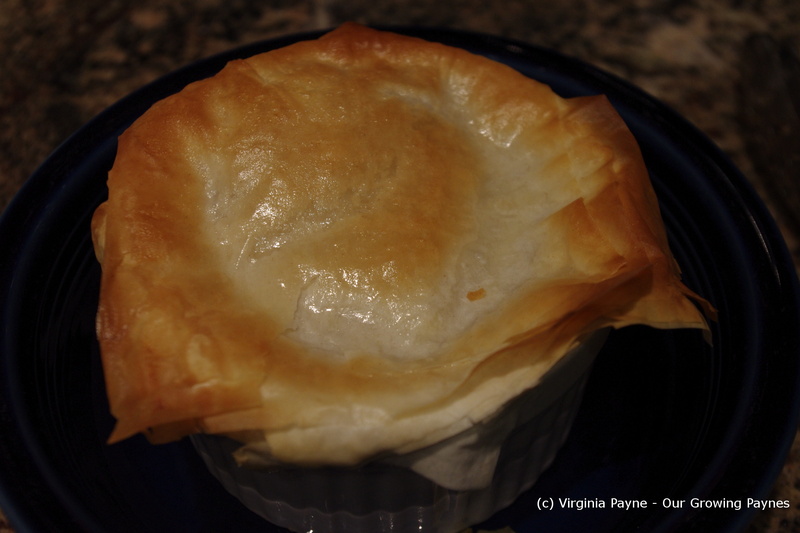 Melt some butter and brush onto phyllo dough and fold into quarters. Place on top of the pie. I usually layer a few on for flaky goodness. 🙂 Pop into the toaster oven until golden brown.